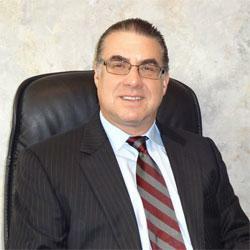 Stuart R. Shapiro, CPA, PFS has over 30 years of experience in diversified areas of practice. These areas include retail and wholesale, real estate, distribution, professional service firms and labor organizations. Stuart provides auditing, accounting, tax and consulting services to various small to mid-size businesses. As part of his practice, Stuart deals with numerous clients with multiple and various entity structures and also has a significant individual tax practice with many high net-worth individuals. Stuart has successfully represented both his business and individual clients in front of the IRS, State, Local and other government agencies. Stuart is a member of the American Institute of Certified Public Accountants and the New York State Society of Certified Public Accountants. Stuart has also lectured for the New York State Society of Certified Public Accountants and is currently a member of both the Nassau Chapter of the Real Estate Committee and the Practice Unit MAP committee. Both committees are part of the New York State Society of Certified Public Accountants.